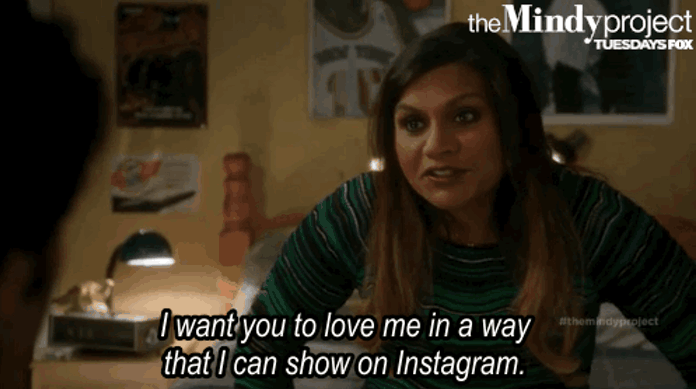 It’s no secret that I love Mindy. I also love Adam, and because Adam loves me too he knows that I want to live the Mindy lifestyle. Therefore he recently gave me a very special gift to show how much he loves me – and it’s absolutely Instagrammable and blog-able. It’s a new Camelbak! I have about five different hydration packs and I don’t really LOVE any of them. My Camelbak is probably my favorite, but it’s really not one that’s made for runners. It’s very big and bulky. I honestly chose it because it’s big therefore allowing me to tote around a lot of water. I just didn’t think about how heavy it would be to hold when it’s full. Knowing that as my long runs get much longer during marathon training I would need some type of hydration pack that didn’t drive me nuts, Adam surprised me with a new, smaller Camelbak! I’m looking forward to trying it out this weekend :). I could have really used it during last night’s tempo at the beach. It was a billion degrees out and my calves were pretty tight. I ended up taking a couple of breaks where I just straight up stopped moving and thought about calling an Uber to drive me back to my car. The good news is that I hit my paces. Actually, since it’s been a about a month since I’ve done anything but easy running, the first tempo mile came in at 13:08 which is about 30 seconds faster than it should have been. After that I took a break (gasp, I know) and then I was able to calm down and find my pace. When I got home I made a nice, cold smoothie! I’m now super excited because Adam’s been in Finland for the last five days and he gets HOME today! I hope he doesn’t have to take any more work trips this year (or ever, haha)! How did your running workouts go this week? What kind of hydration pack do you like best? Awww how sweet! That’s an awesome Camelbak! Good job powering through that tempo run. Remember, sometimes the best thing to come out of a workout is simply getting it done. They’re gonna be ugly sometimes, but getting them done still gets you closer to your goal! You are so right. I definitely felt like the best thing about that tempo was the relief I felt after taking the final step! What a thoughtful gift 🙂 I love my camel back too and won’t run further than 7 miles without it- I need my water!! Ohhh you’re so good about hydration! I just try to make sure I loop around my car every 3-4 miles so I can stop and get a drink, but sipping a bit along the way is surely much better! You know, Fri and Sat they were still really tight, but then today magically they weren’t tight AT ALL. I do the same stretching routine every single day of the week so I have no idea why some days they bother me and some days they don’t! I don’t know how I would be able to make it another few hours either – yikes! Thank goodness it’s only June. If we’re feeling this way in August, IDK!!! Ohh yes! New shoe day si the best! Adam plays down his gift giving skills, but they’re seriously the best. Always thoughtful and practical! Ah, I should review it! I ended up doing my long run on the treadmill today though, oops! Aw, that’s such a thoughtful gift 🙂 There are water fountains all along the greenway near me so I never have to worry about bringing water. It’s really nice! OH man, that’s so nice that you have water fountains! 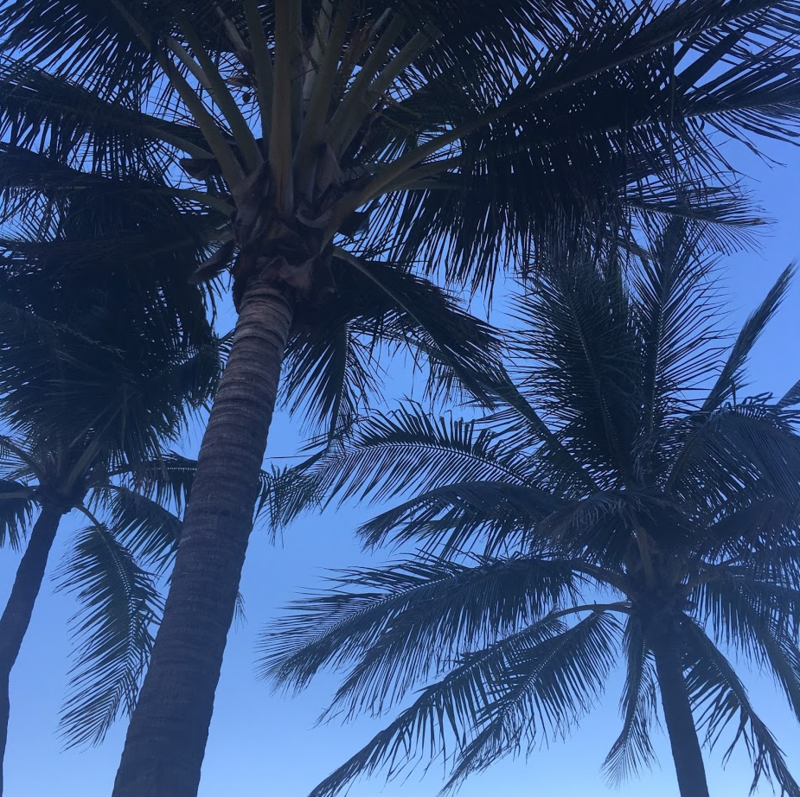 We only have two water fountains on the entire stretch of the beach and the way is about 100 degrees – not refreshing in the least bit! Great job on toughing out the tempo. Those can be killer on me sometimes too. I have an Orange Mud double barrel hydraquiver I use for long runs. I love it! I struggled with having something on my back without getting irritated until I tried this. I’ve never heard of that pack before, thanks for the tip! If this Camelbak doesn’t work I’ll definitely be giving that one a try!! Such a sweet and thoughtful gift. Great job on your tempo run! I admire you for running in that heat!! I hope your calves loosen up soon–it drives me crazy when anything on my body feels tight or achy (I sort of freak out to be honest). Have a wonderful weekend! Thanks Susan 🙂 Oddly enough they were tight on Fri and Sat but then today there was ZERO tightness! I have no idea why they sometimes get super tight. I do the same stretching routine seven days a week so it makes no sense to me! The heat and humidity make speed work REALLY hard, especially tempos. Are you taking any kind of electrolyte supplements before your evening runs? I’ve found they’re really helping my legs stop cramping up! 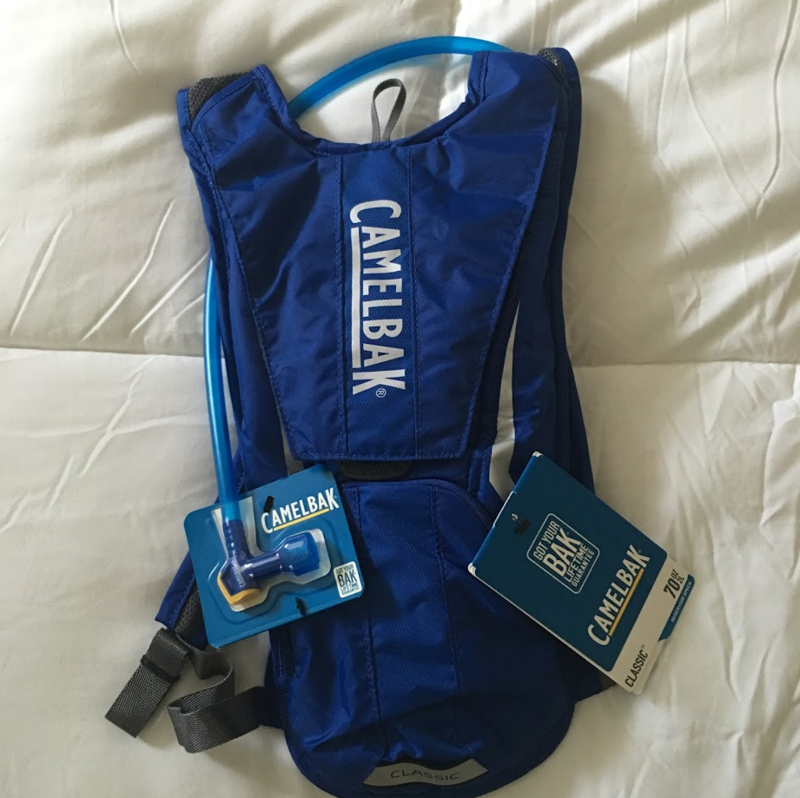 I hope you enjoy your new Camelbak.I have one but never use it; I just prefer to run routes that pass water, or run with a small belt-bottle in my FlipBelt. I just hate the extra weight and heat of a backpack. Oh you know what? I don’t take any electrolytes before the run. 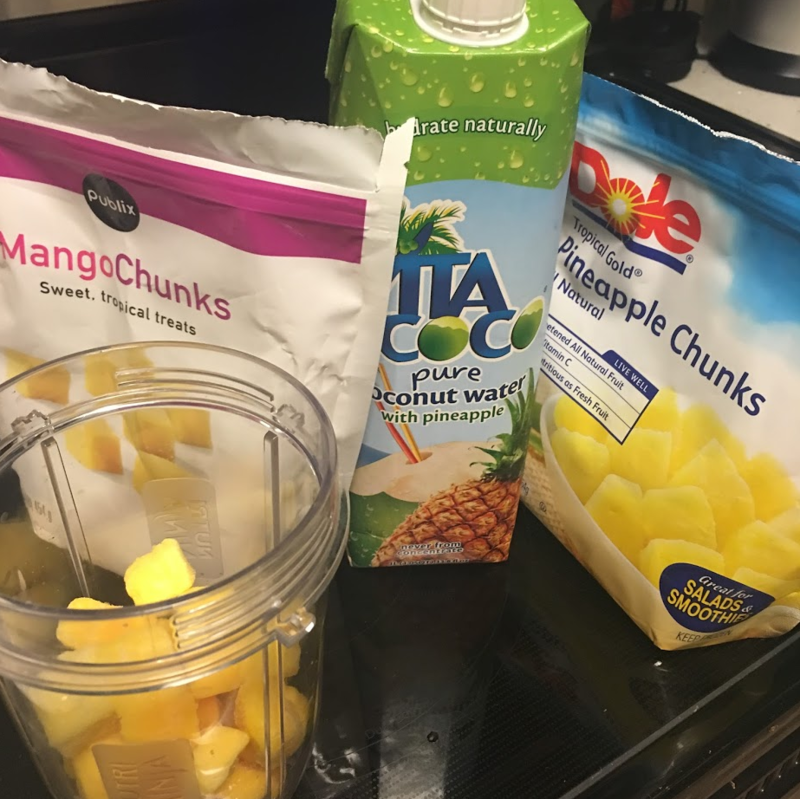 I usually have coconut water in my smoothies after the run, but I should give salt tabs a try like you! I had one of those character building runs today…I struggled quite a bit. I am trying to not have a freak out over it! Hang in there! I’m sorry that you had a character building run, but you know what? A good run is around the corner! My long run today felt super easy!